Stories of Penelope and women of the Odyssey: Patti Trimble spoken word/poems with singer Julia Norton, Peter Whitehead playing various musical instruments, and poet Maya Khosla speaking text. Patti’s lyric poetry with a little help from Homer, Ovid, Hesiod, Aristophanes, Sappho, James Joyce, and the collective imagination. Exhibit: Closes Feb 3! Earth/Unearth Art practice as Ecological Inquiry: curated by Patti Trimble: at Gallery Route One, Point Reyes Station, CA link here Panel discussion with curator and six artists: Sunday Jan 20, 3pm. Poetry Reading, Sunday January 13, 3pm, Pepperwood Preserve, Santa Rosa, with Poet Laureate Maya Khosla, Healing After the Fires. Illustrated Talk: October 21, International Conference on Ecocriticism and Environmental Studies, London, UK: “Modern Art as Inquiry into the Plural Human”. 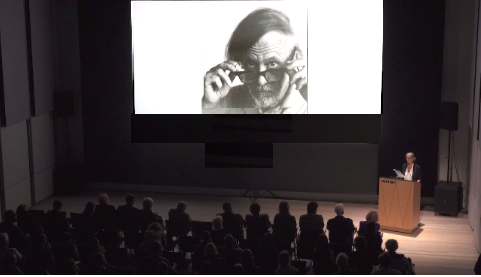 A discussion of how modernist drawings and paintings of humans merged with their tools (diChirico, Leger, Klee ) and humans merged with animals (Picasso, Varo, Ernst) and human/landscape/object combinations (surrealist exquiste-corpses, early Pollocks)— point to a collective artistic inquiry into the “multiple human” (Bruno Latour and others) How artists conceptions of our nondual nature predict and predate ideas by contemporary writers, sociologists, eco-philosophers. Pt Reyes Writing Weekends. . . Friday evening to Sunday afternoon: a weekend of new writing in the green hills of Point Reyes National Seashore. Restore yourself with quiet writing time, workshop, and good conversation. here for more info. Point Reyes Field Institute. I hope you will join us! Siracusa, Sicily poetry performance. 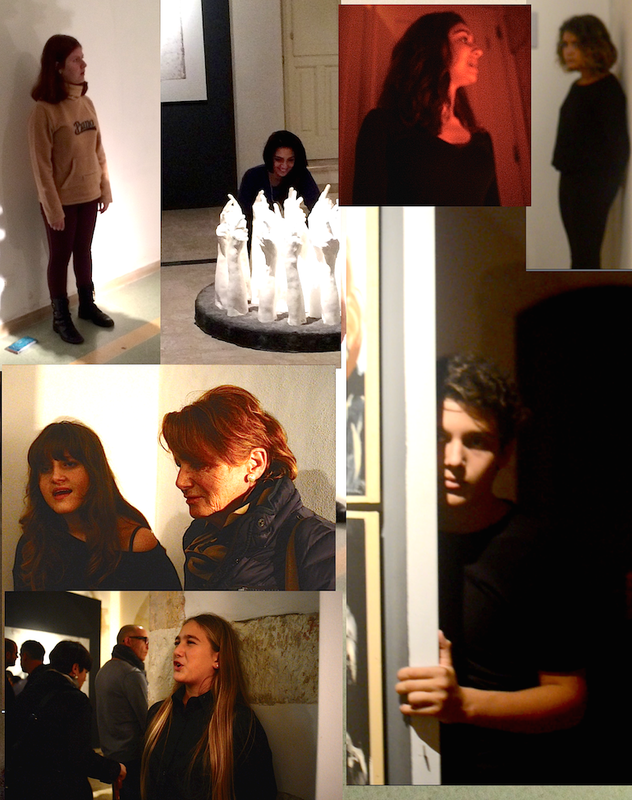 The Italian Academia Dramma Antica (actors and students of diction and spoken text) presented my poetic text, Terra Amata (in Italian) at SAC Contemporary Art Museum in Siracusa as installation. An “invited poem”, a collection of remembered places as told to me by Europeans, Americans, African and Syrian immigrants, other travelers. Presented in Siracusa’s Contemporary Art Museum, some 40 young Italian actors created a performance piece, a collaged remembrance of Beloved Earth. Directed by Michele Dell’Utri, with Doriana La Fauci and Attilo Ierna of INDA, Italian National Institute of Ancient Drama. In honor of my ex-husband Bill Horvitz, who died last week after a short battle with cancer. Click on this link, to listen to a recording from our many years of performing poetry and music together: On the Road or Asteroids, featuring Bill’s beautiful, soulful guitar; or Clear and Mild, as blessing for Bill. In the Middle of the Night of the Road of My Life I Found Myself in a Tangled Wood, Patti Trimble spoken word; Peter Whitehead various instruments. Arabic poems from the Sicilian poet Ibn Hamdis and other, from Arabic Sicily and poets in exile (ca. 840-1100). Tunisian-Sicilian singer Ramzi Harrabi sings the poetry in Arabic, and Patti Trimble speaks their new English translations; and Abdel Ghazout creates beautiful melodies on the oud. A multicultural art project from the center of the Mediterranean.